To schedule an appointment, call (309) 342-2144. From the moment your baby is born, through childhood and adolescence, your relationship with an experienced and caring pediatrician is crucial to the health and well-being of your child. 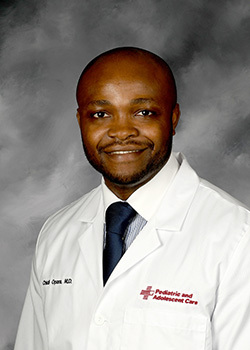 Chidi Opara, M.D., will help you feel comfortable and confident every step of the way. He provides preventive and sick-child care as well as specialty care for children with ADHD, asthma, diabetes, allergies, and learning disabilities.